The City of Seattle has several grant sources that are useful for community groups as they plan their Greenways. We’ll post new grant opportunities for local groups as we learn about them. We have been very successful getting Greenways going! It is also useful to know how much projects cost! Seattle Department of Transportation has a cost estimate guide to commonly requested street improvements. Neighborhood Matching Fund: Small Sparks, Small & Simple grants and Large Project Funds. All require extensive community participation. Small Sparks are less than $1000 and can fund group development, special events, celebrations, and networking at the local level. You can apply for Small Sparks any time during the year. Small & Simple Matching Fund Grants are more involved to apply for and administer and have two annual application periods in the spring and fall for grants of up to $20,000. Beacon BIKES received a Small & Simple grant to fund their greenways circulation plan. Large Project Fund Matching Fund Grants have one annual application for grants of up to $100,00 and require pre-scoping meetings. Neighborhood Project Fund awards grants for locally-requested improvements to public streets and parks. The first segment of the Wallingford Greenway was funded through a Neighborhood Project Fund. 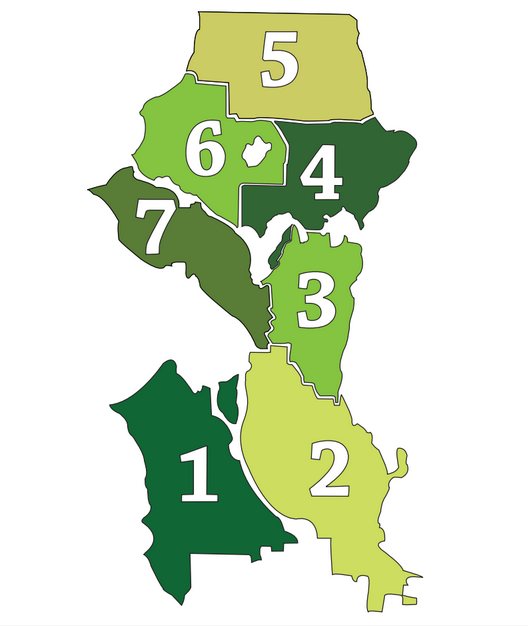 Tree planting assistance grants offered through several City of Seattle departments. Beacon BIKES has proudly planted 400 trees through the SDOT Community Tree Program. Business district beautification grants may be applicable to fund greenways. Seattle Department of Transportation offers free bicycle racks in business districts. Washington Traffic Safety Commission awards large grants on an annual cycle, focusing on projects that address one or more of the top Target Zero priorities. Beacon BIKES, Greenwood-Phinney Greenways, Wallingford Greenways, and West Seattle Greenways receive Neighborhood Projects Funds for greenway elements ranging from $50,000 to $65,000. 9/12. Seattle Neighborhood Greenways is working collectively on funding the design and development of complete citywide greenway system. If you are interested, join us!